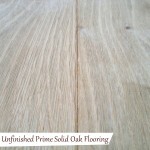 What is this solid oak flooring pre finished with? 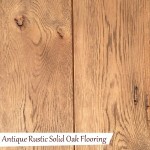 This rustic solid oak flooring is pre finished by Quality Oak Floors in our UK factory. The flooring is pre finished with a Treatex clear oil meaning the oak floor won’t really change colour, the oil will make the floor go a little darker than its natural colour. 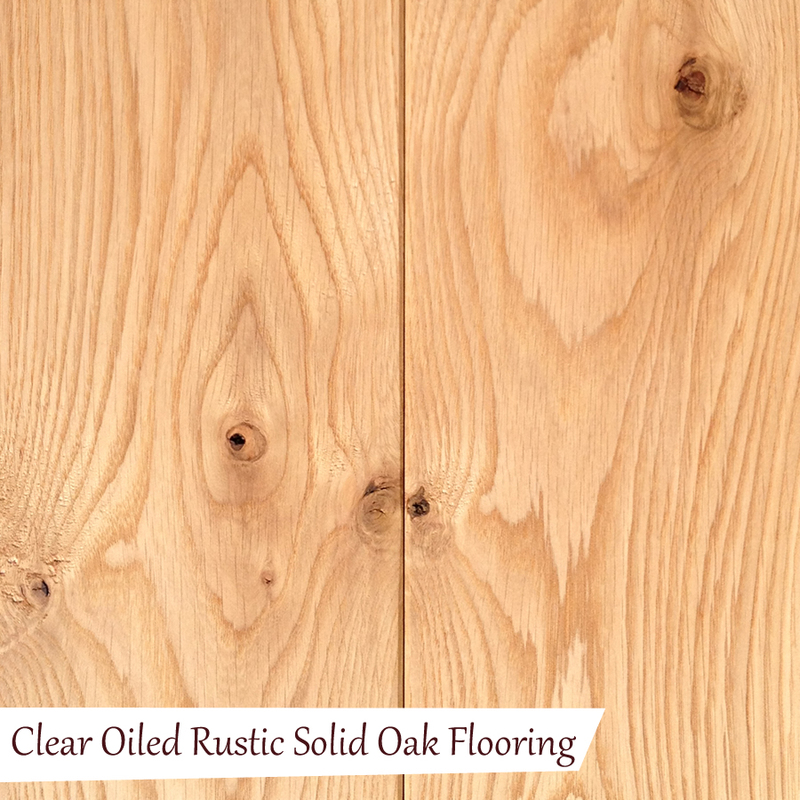 The treatex clear oil is the lightest and most natural finish that you can get on our rustic American White Oak Floors. 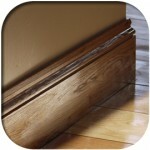 When the oil is applied to the flooring, it soaks into the timber bringing out the natural beauty of the oak. As the oil soaks into the flooring, the flooring is then easier to maintain and the oil will also prevent the flooring from any scuffs or marks being made easily. When floors are pre finished with a lacquer or varnish, they sit on top of the board, meaning scratches will appear real easy. 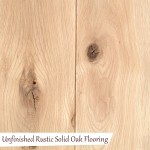 We manufacture this floor from American White Oak. 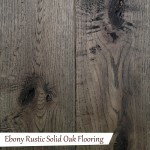 The flooring is a Rustic grade oak meaning knots and character such as splits and shakes are visible in the oak floor. 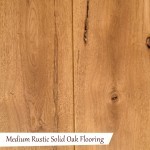 This beautiful oak floor is usually more suited to older properties, cottages and barn conversions due to the characteristics of the oak. 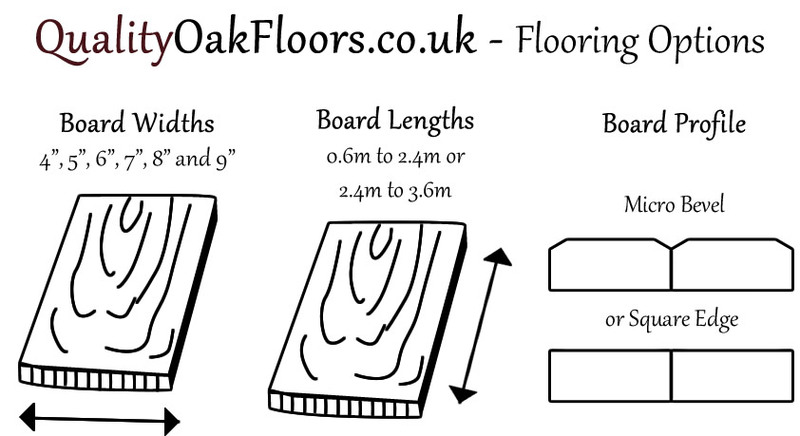 This solid oak flooring is available in a 4″,5″,6″,7″,8″ & 9″ widths, you can choose which you prefer above. 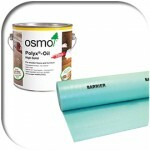 The flooring is supplied in random lengths rangeing from 1.2m – 2.4m. 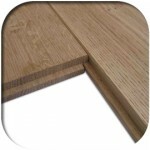 The flooring profile is a micro bevel which is show the defintion on each board. 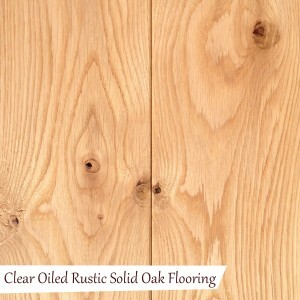 Be the first to review “Clear Oiled Rustic Solid Oak Flooring” Click here to cancel reply.